It was 1 July 2015 when it was announced that ACE Ltd would acquire The Chubb Corporation. This year, on 14 January, the completion of the acquisition was announced. ACE had paid approximately US$29.5bn (A$38.55bn) in cash and stock for Chubb. That transaction – said to be the biggest ever acquisition for the insurance industry in the US – resulted in the creation of the world’s largest publicly traded property and casualty insurer, which comes together under the Chubb name. “Our passion for underwriting, along with our industry-leading claims, risk engineering and loss control services and substantially increased data, distinguish the new Chubb as we pursue new, profitable growth opportunities in both developed and developing markets around the world,” Evan G. Greenberg, Chubb Ltd’s chairman and CEO, said in a statement in January announcing completion of the transaction. On 1 April, the legacy ACE and legacy Chubb businesses in Australia commenced operations together. John French, previously ACE’s country president for Australia and New Zealand, is the man now heading up the new Chubb in both countries. The company is the sixth largest general insurer in Australia. French tells Insurance Business the integration of ACE and Chubb in Australia has “progressed well”. “We began collaborating when the global transaction closed on 14 January and have been working together closely since then,” he says. “On 1 April, we commenced operating under a new single management structure with quality leadership from both legacy organisations. French has chalked up more than 25 years in the insurance industry. Much of that time has been spent with ACE, which he joined as a business development manager in Sydney in 1997. Since that time, he’s been Australian general manager and then gone on to serve as country president of ACE in Singapore, Thailand, Hong Kong, Taiwan and Macau, returning to Sydney to head up the insurer’s Australian and New Zealand operations in March 2014. French speaks highly of the people he’s worked with over the past two years. “During my time as country president for Australia and New Zealand, I’ve been lucky to work with a very talented team of professionals,” he says. Insurance Business asked French why the decision was made to adopt the Chubb name globally. “This is an acknowledgment of the distinctiveness and strength of the Chubb brand,” he says. So, what can Australian brokers and their clients expect from the new Chubb? French says that they’re bringing a “fresh and vibrant” brand to market. “Chubb has specialist expertise in underwriting complex risks and excellence in claims,” he says. French speaks further about what the new combined company means for customers. “Legacy ACE and legacy Chubb are two great underwriting companies that share a passion for production innovation and outstanding client service. Together as Chubb we are bringing the best of both organisations to service the market,” French says. “For distribution partners we are offering enhanced products backed by exceptional financial strength and security for clients. French cites a number of examples. French says the combination of ACE and Chubb enhances the organisation’s capabilities to deliver on its strategy of providing quality products and services to ensure customers are properly protected. “Our independent broking partners will see a vastly enhanced product suite with significant strength in general property, casualty construction and environmental in addition to existing financial lines and package capabilities they currently enjoy through the legacy Chubb business. This will be delivered through a dedicated underwriting team in each state,” he says. “For our large and global broker partners, a dedicated team in each state will continue to focus on delivering a customised service, from small SME facilities to tailored large multinational programs. Looking forward, as ANZ head of the new Chubb, what will French’s and his team’s focus be for 2016? “This is a growth story. We have taken the opportunity to integrate two highly talented and motivated teams. We will now implement a dynamic and long term strategy, distributing our expanded product through a broader network of distribution partners,” he says. Always a high class organisation, with high class products and outstanding claims services, Chubb really is a dominant player in worldwide Insurance. 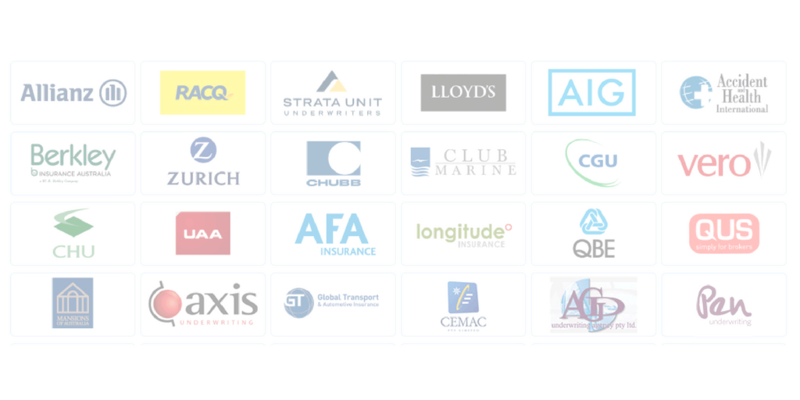 We look forward to continuing our long relationship with the ‘new’ Chubb, and providing our clients with their outstanding insurance products.